One of the biggest villains in the increase in opioid addiction and overdose deaths is the aggressive marketing of the drug companies, according to criminal justice expert Paul Brakke, who has published seven books on criminal justice with American Leadership Books. These books include Dealing with Illegal Immigration and the Opioid Crisis and Crime in America, which includes a chapter on the opioid epidemic. 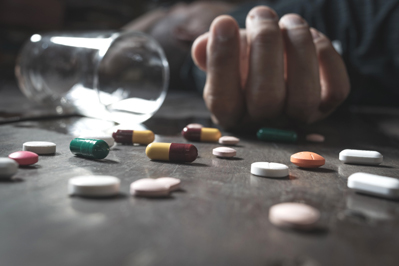 "Now there is growing research that shows this connection of drug company marketing, opioid addiction, and death from an opioid overdose," says Brakke. To illustrate this connection, he points to a recent study that demonstrates how drug company marketing has led to more overdose deaths, as cited in a Vox article, published January 25, 2019 by German Lopez: "We Now Have More Proof that Drug Companies Helped Cause the Opioid Epidemic." As Brakke reports, the drug companies have spent billions of dollars for years to promote their drugs to doctors using all kinds of incentives, such as speaking fees, free dinners, and paid trips. One of the first opioid pills in the 1990s was OxyContin, and the manufacturers of this, Purdue Pharma, sought to convince doctors, in spite of evidence to the contrary, that the drug was safe and effective, thereby convincing doctors to prescribe even more drugs. The result of the efforts of all these drug companies was more overdose deaths, according to a study reported in the Journal of the American Medical Association (JAMA) Network, where the researchers found more deaths when there was more marketing. The results of the study made it very clear that the marketing led to more opioid prescriptions, which led to more misuse, addiction, and overdoses. In making these drug sales, what seemed to have the most influence was the marketer-to-doctor contact. "Thus," says Brakke, "the results are clear in showing how the drug companies are contributing to the opioid crisis. Certainly other factors, such as the use of illegal opioids, especially illicit fentanyl and heroin, which account for 40% of opioid overdose deaths, have contributed. But the increase in opioid prescriptions due to drug promotions has played a major part, although people are generally unaware of this influence." So who are the major victims of these overdoses? According to Brakke, about 80% are white Americans, especially those without a college degree, in part due to low wages or a lack of jobs. As a result, they turn to drugs as a means of escape, and sometimes that escape leads to death. Then, too, U.S. military veterans are twice as likely as others in the general population to suffer, because of their chronic pain due to their service, according to a National Institute of Health study, as reported by Claire Felter in her article, "The U.S. Opioid Epidemic," for the Council on Foreign Relations (CFR). What is to be done? Brakke suggests four critical steps. A first step is creating the awareness of what is causing the problem. A second step is reducing the demand for drugs. A third step is making doctors and health providers aware of how their overprescribing contributes to the problem. A fourth step is more closely monitoring the doctors' prescriptions and helping them resist the marketing efforts of the drug dealers. In writing his books and working as a consultant, Brakke brings to the table a unique conservative approach to crime, criminal justice, and American society. His approach is in contrast to that of liberals who usually discuss ways to reform the system through more of a social welfare approach. Brakke's approach is based on an economic business model of doing what works most efficiently to both cut down costs and create more productive citizens. He is now bringing his unique approach to his forthcoming book Fractured America, dealing with the many divisions that are tearing America apart and how to heal these divisions. It will be published in early February. To learn more, you can get a copy of Crime in America, with a chapter on the opioid crisis. The book is available through Amazon, Kindle, and major bookstores. It is currently available on Kindle at a reduced price during its special KDP Select Promotion at https://www.amazon.com/Crime-America-Conservatives-Approaches-Criminals-ebook/dp/B07MKZG84Z. Also, free copies are available for government officials who are seeking ways to reduce crime and fix the criminal justice system and for members of the media at www.crimeinamericathebook.com.